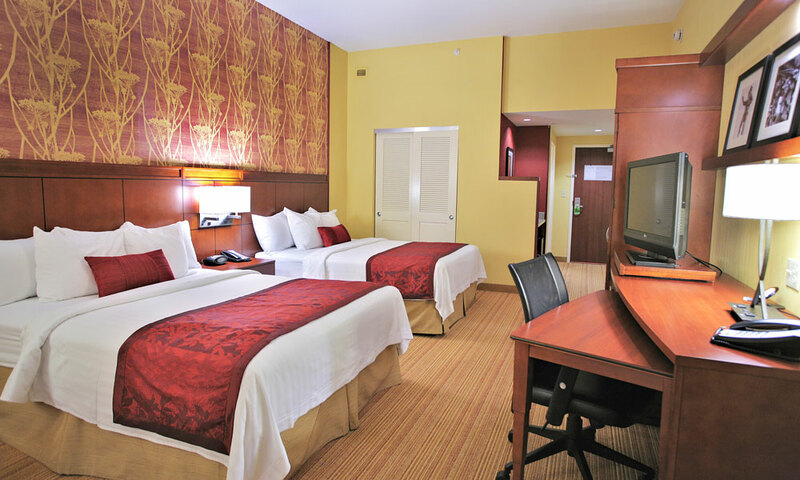 This hotel is located convenient to I-95, the outlets, and historic downtown St. Augustine. 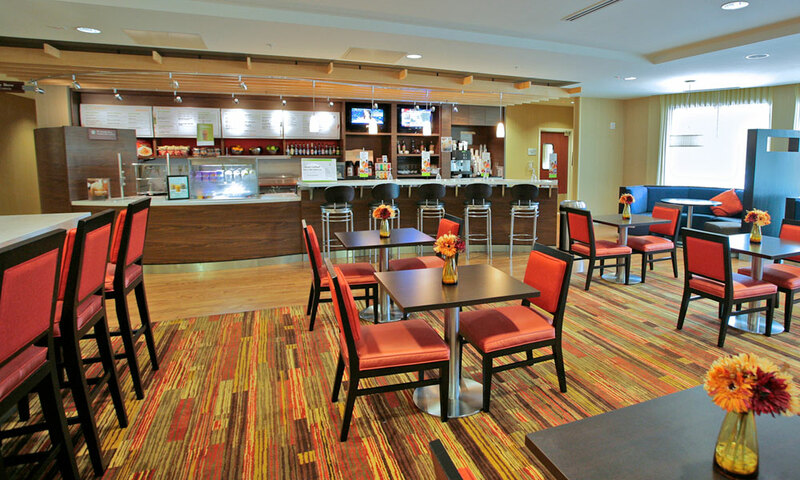 The Courtyard by Marriott is a hotel in Saint Augustine, Florida. It's located in close proximity to name brand shopping centers, award winning golf courses, the room may not be the only place you frequent. After an adventurous day, visitors can relax around the heated outdoor swimming pool and enjoy dinner at the on site bistro restaurant. Sleeping amenities include the comfort of a luxurious queen or king size bed. 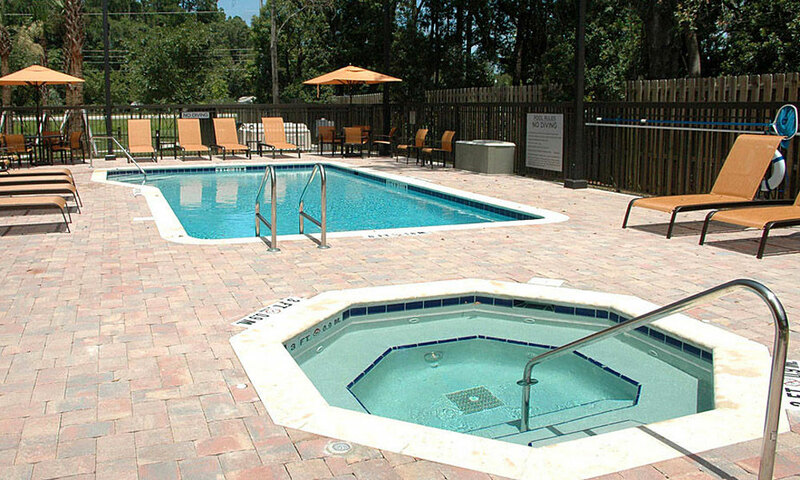 Conveniently located near I-95 and just minutes away from St. Augustine's historic and tourist attractions, the Courtyard by Marriott is perfect for a weekend getaway or romantic weekend. 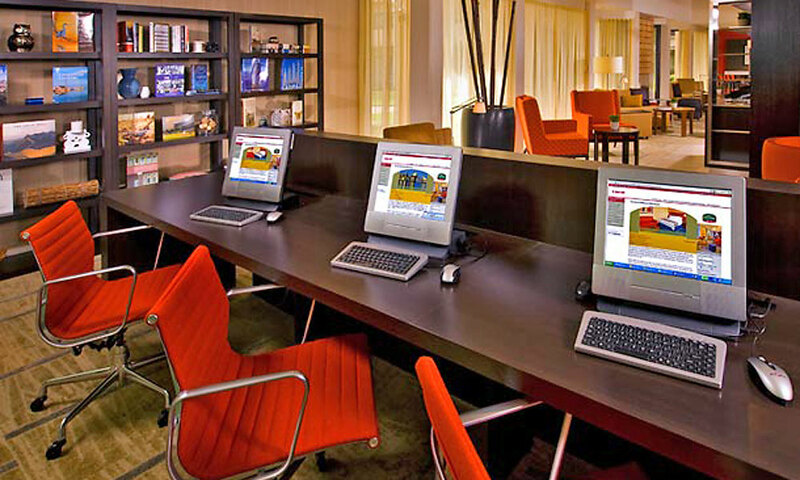 If traveling businessmen can't get away from the office, then bring the office to St. Augustine as the Courtyard at Marriott offers conference rooms and professional event planning for the on-the-go type. 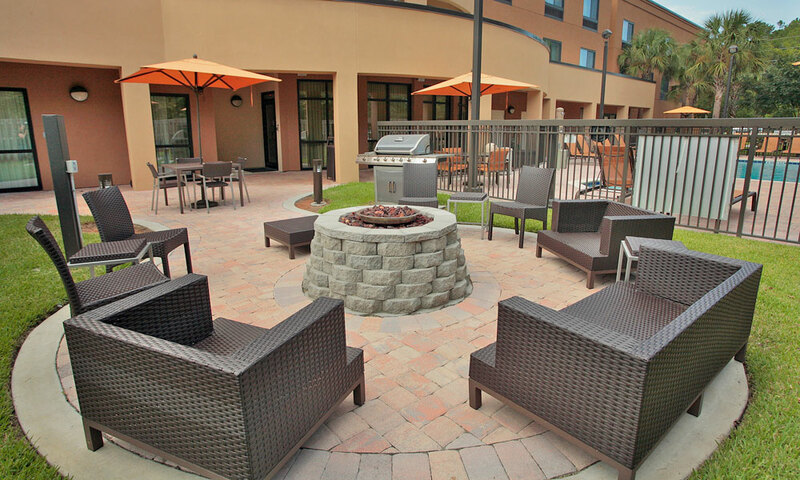 Between the fire pit and the fitness health center, guests are sure to find your place to relax while staying in St. Augustine. 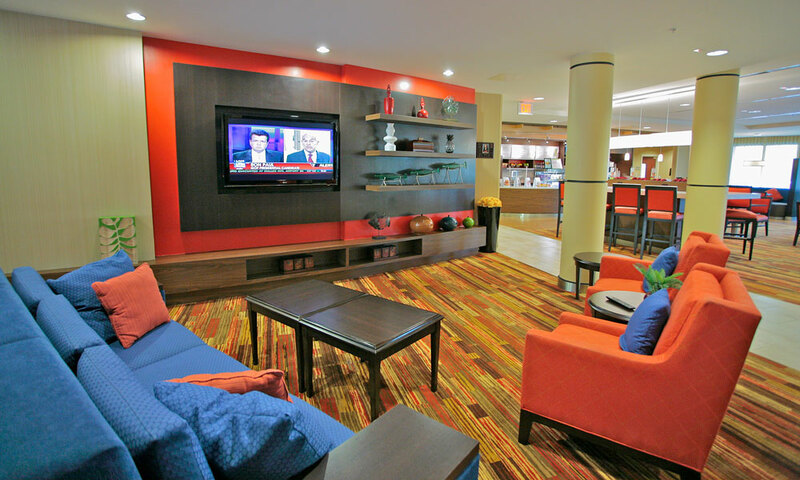 Contact Courtyard by Marriott to make a vacation reservation today. Check in starts at 3 p.m. Check out is at 12 p.m.
My wife and I stayed for New Years Eve in 2010. The room was very nice, it was a beautiful room. Great place to stay, it was only a short drive to downtown St Augustine which was nice.